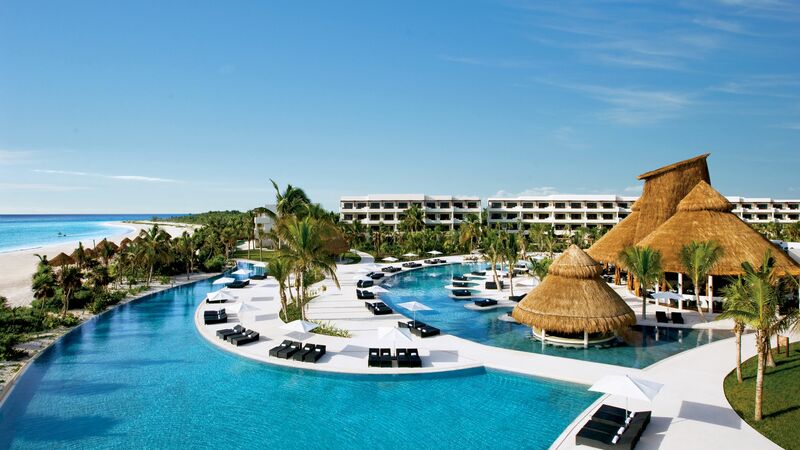 Discreetly located at one of Mexico’s most beautiful beaches, Secrets Maroma Beach Riviera Cancun is an AAA Five Diamond and All Suite Resort offering romantic, adventurous, and relaxing holidays in a luxurious setting. It is one of the most exclusive Playa del Carmen resorts, located just 15 kilometres away from of El Manglar Golf Course and El Camaleon Golf Club. Grand Coral Golf Riviera Maya and Puerto Morelos Town Square are also within 20 kilometres from this property. The resort’s suites feature thoughtful touches such as a charming balcony or terrace and a comfortable bathroom equipped with a Jacuzzi bathtub for two. Guests can also experience the world class Secrets Spa by Pevonia, which offers a wide range of relaxing and therapeutic treatments within a stunning state of the art facility. 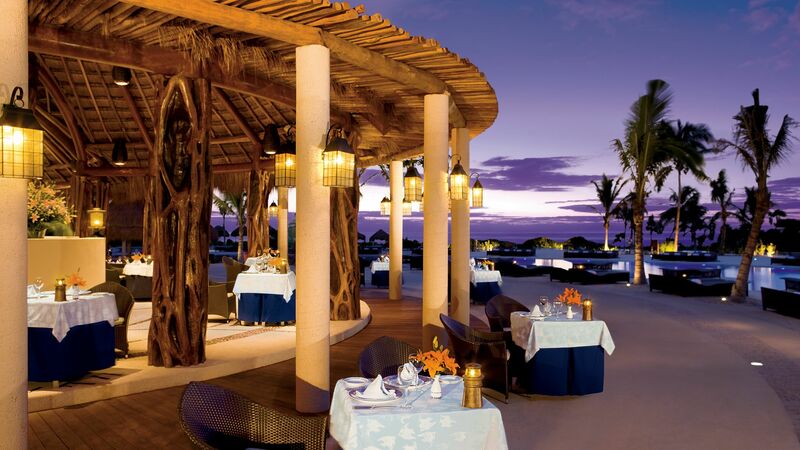 Secrets Maroma Beach Riviera Cancun offers the Unlimited Luxury® service as standard. This means that you can enjoy the resort’s six gourmet restaurants, unlimited local drinks, premium wines, beers and 24 hour room service, non motorised water sports and the nearby Grand Coral Gold Course during your stay. Serving a wide variety of mouth watering à la carte Mexican dinner dishes, El Patio is the ideal place to savour local cuisine. Perfect for midday and afternoon cravings, Barefoot offers delicious light lunches and snacks. 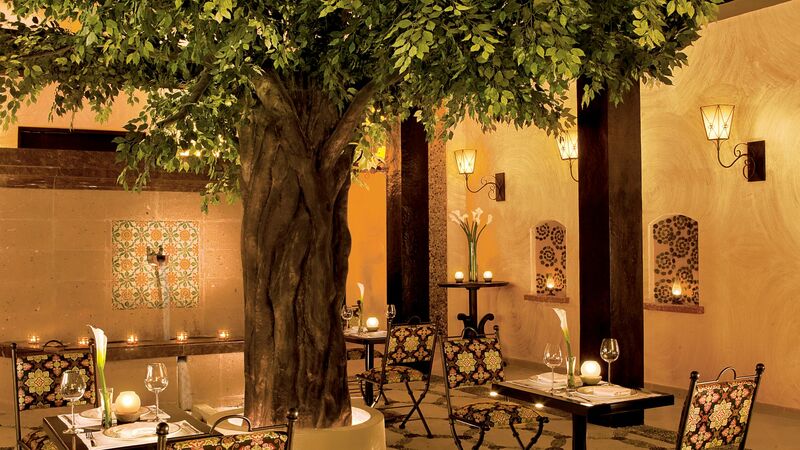 Bordeaux is a fine dining restaurant serving French gastronomic favourites in a casual and elegant setting. Coco Café serves a premium selection of South American coffee and fresh gourmet snacks throughout the day. 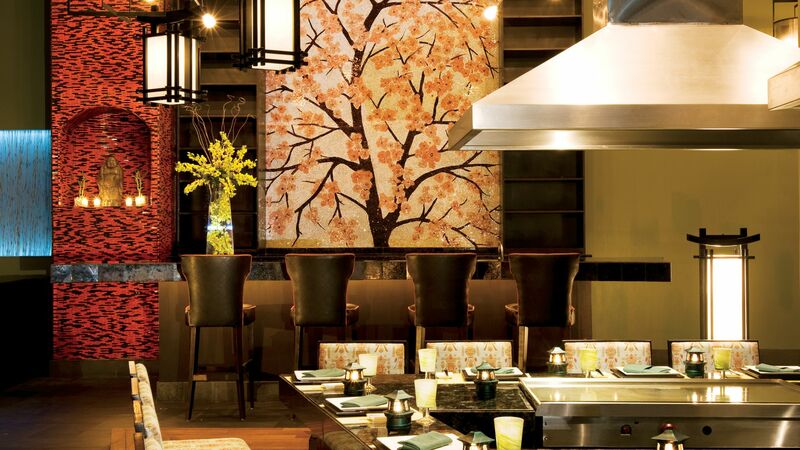 Himitsu serves Pan Asian à la carte delicacies and teppanyaki dishes with three spectacular live cooking stations. Oceana is a sea food speciality restaurant offering delicious dishes in a romantic and intimate setting. This is the Italian restaurant of Secrets Maroma Beach Riviera Cancun; offering an authentic Mediterranean experience to the resort’s guests. Seaside Grill serves mouth watering grill specialities in a relaxed lounge setting next to one of the resort’s 13 pools. 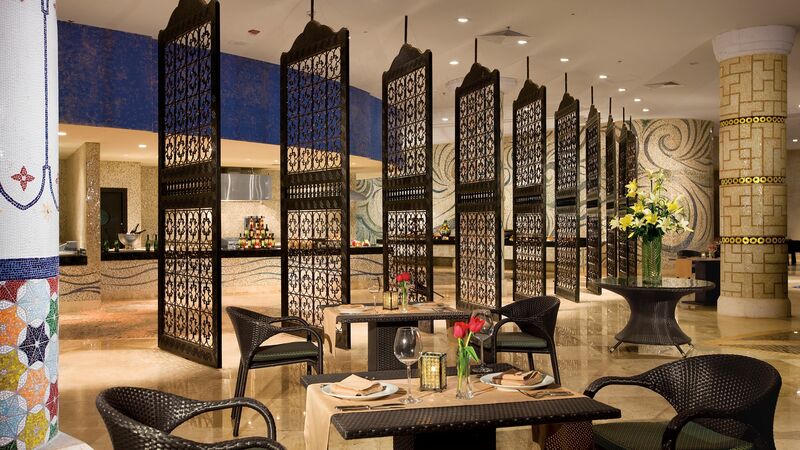 World Café serves a selection of international buffets for breakfast, lunch and dinner. The colourful restaurant also organises themed evenings. 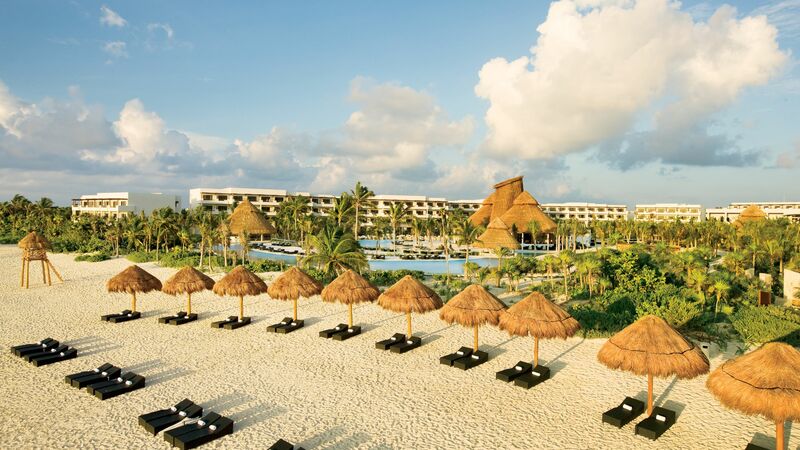 Secrets Maroma Beach Riviera Cancun features 2 gorgeous, heated swimming pools. The hotel’s beach is home to the white sands and clear waters Mexico’s coast is well known for. 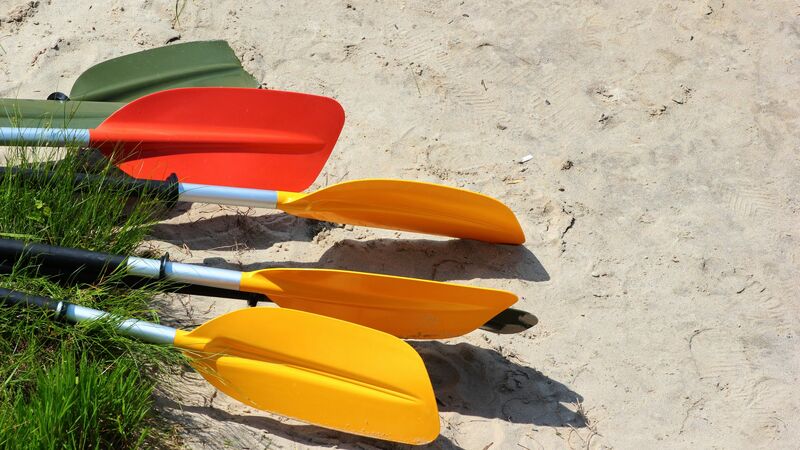 Guests can relax on loungers or try some of the non-motorised sports available. 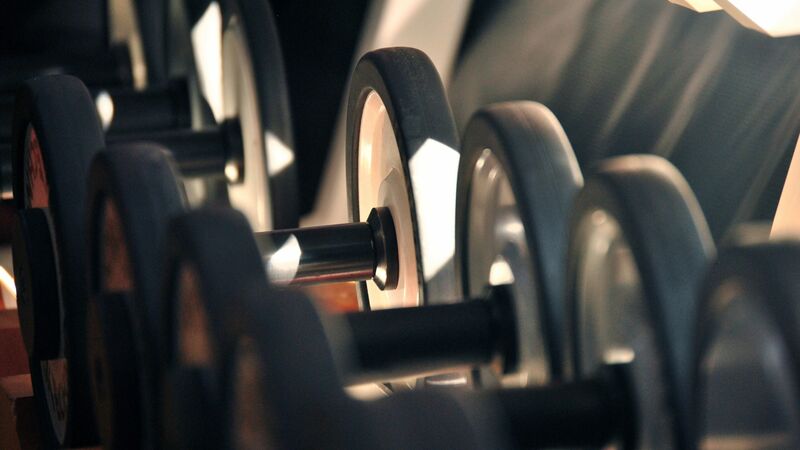 The hotel features a modern gym which offers strength and cardio training equipment. 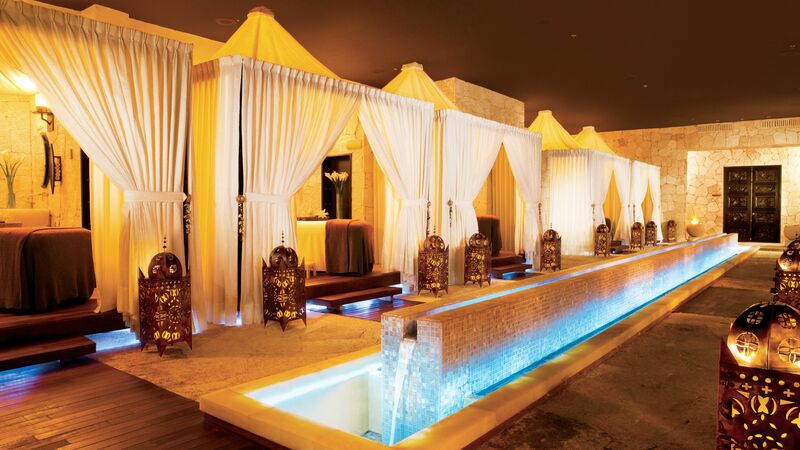 This world class wellness facility spans over 13,000 square feet and offers a wide range of body and mind treatments. 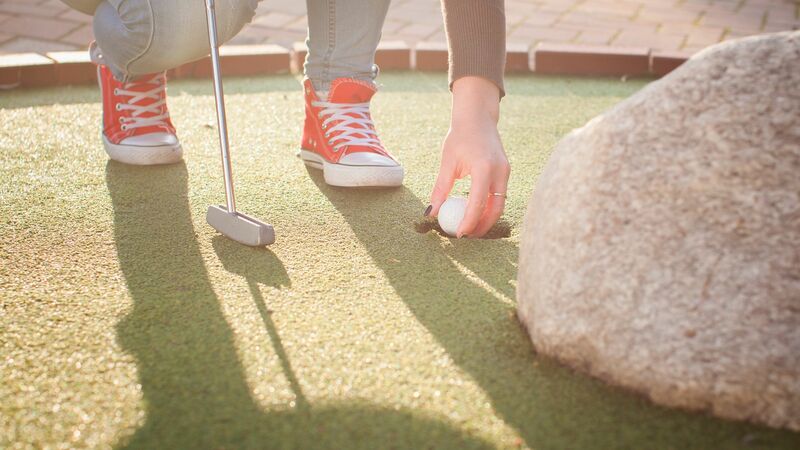 The resort offers a wide ranges of sports, including volleyball, football, tennis and a mini golf course. 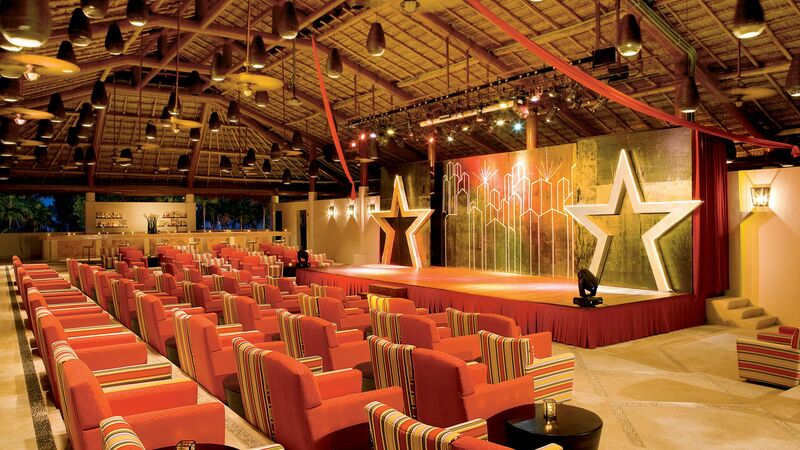 Visit the hotel’s open air theatre and enjoy the wonderful live shows and entertainment events. A wide range of non motorised water sports are available for the resort’s guests, including sailing, snorkelling and more. The Riviera Cancun is a quiet beach area found between the vibrant cities of Cancun and Playa del Carmen. Its beautiful white sand coastline is complemented by majestic palms and upmarket beachfront hotels. Riviera Cancun has easy access to the most popular views over the Yucatan Peninsula. Playa del Carmen – famous for its selection of restaurants and souvenir shops – is less than an hour away by car. There are more antique towns within a day trip distance from Riviera Cancun, including the seaside observation tower of Tulum and the prominent pyramid at Chichen Itza. The virgin coral reefs alongside the coast of Riviera Cancun and Cozumel Island are perfect for scuba divers and water sports enthusiasts. Otherwise, the rivers and ruins of Xcaret are another wonder for visitors of Riviera Cancun to enjoy exploring. 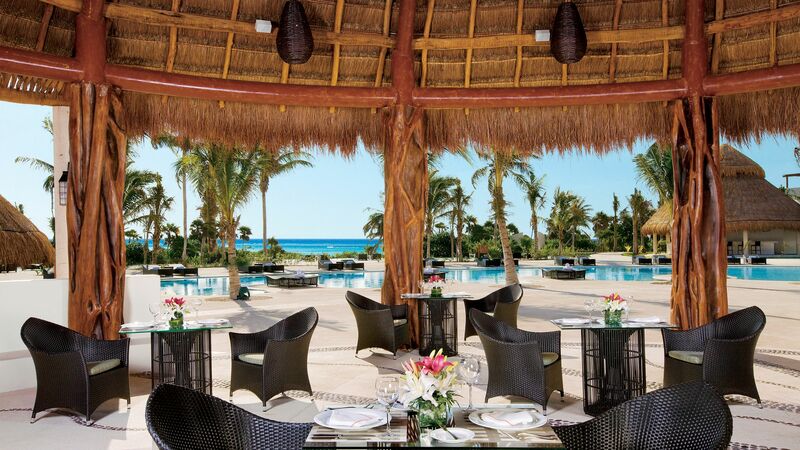 Secrets Maroma Beach Riviera Cancun is a 40 minute drive from Cancun International Airport. Junior Suites Tropical View feature one king or two double beds, a sitting area and a luxurious bathroom with Jacuzzi® bathtub for two and a separate shower. The suite also features a furnished balcony or terrace and a minibar that is replenished daily. Junior Suites Partial Sea View feature one king or two double beds, a sitting area and a luxurious bathroom with Jacuzzi® bathtub for two and a separate shower. The suite also features a furnished balcony or terrace with partial views of the sea. Junior Suites Ocean View feature one king or two double beds, a sitting area and a luxurious bathroom with Jacuzzi® bathtub for two and a separate shower. The suite also features a furnished balcony or terrace with stunning views of the ocean. Junior Suite Swim Out rooms feature a king bed, a sitting area and a luxurious bathroom with Jacuzzi® bathtub for two and a separate shower. The suite also features a furnished terrace with direct access to the pool. Junior Suites Ocean View Preferred Club feature one king or two double beds, a sitting area and a luxurious bathroom with Jacuzzi® bathtub for two and a separate shower. The suite also features a furnished balcony or terrace with exterior soaking tub and a minibar that is replenished day. Preferred Club privileges include the following; access to the Preferred Club Lounge, concierge service, daily continental breakfast in the Preferred Club Lounge, afternoon hot and cold hors d'oeuvres, pillow menu, complimentary daily newspaper, upgraded minibar service and upgraded bath amenities. Junior Suites Swim Out Preferred Club feature a king bed, a sitting area and a luxurious bathroom with Jacuzzi® bathtub for two and a separate shower. The suite also features a furnished terrace with direct access to the pool. Preferred Club Honeymoon Suites are spacious in size and feature either a furnished balcony or terrace with soaking tub when located on the upper floors or direct swim-out access if located on the first floor. All Honeymoon Suites feature a king-size bed as well as a separate sitting area with walk-in wardrobe and a bathroom with a Jacuzzi® for two. Suites are ocean front. Our third visit to Secrets Maroma Beach was without question our best. While many properties tend to lose their luster over time, that isn't the case here. The entire property was immaculate, our recently-remodeled room was very comfortable, the people were warm and helpful, and the food was the best we've had at any all-inclusive anywhere. We will definitely be back. “ Believe all of the positive reviews! This place is incredible! My husband and I never went on a honeymoon, so for our 10 year anniversary we came here to celebrate, and all I can say is WOW! From the second you arrive to the second you leave, you will be more than satisfied. Everything previously mentioned is EXCELLENTE! We were in a swim up room in building 12. Sun was on our pool from 8 to 2. For more sun stay in 14 or 15. 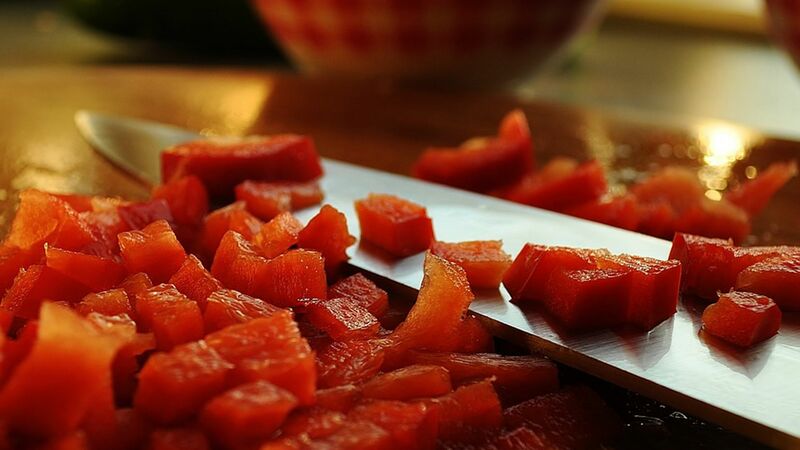 Make your reservations for the Hibachi restaurant with your Concierge when you arrive. Good time had by all. Go and enjoy.